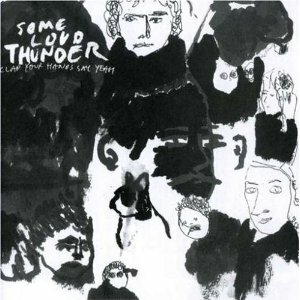 I acquired Some Loud Thunder cheaply some years ago, based on liking CYHSY’s self-titled debut. However, I just somehow never listened to it until the album project. Basically, due to their painfully hip coolness, I really don’t want to like Clap Your Hands Say Yeah, but they’ve sort of burrowed into me against my will. As before, the singing is not what would traditionally be called singing, nor is it even good or pleasing. But it worms its way into my groove-center. How do they do that?